Like Samsung’s top-rated Galaxy S4 smartphone, but wish it came in a smaller size? 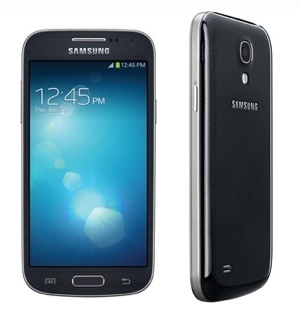 Well, good news – the 4.3-inch Samsung Galaxy S4 Mini is coming to AT&T, Verizon, and Sprint this November. Though pricing has not been announced, it’s not unreasonable to expect that the Samsung Galaxy S4 Mini will be a value-minded phone like the HTC One mini and iPhone 5C. Along with a smaller (950 x 540) display, the S4 Mini has a less-expensive 1.7GHz dual-core processor, only 1.5GB of RAM, a smaller battery and an 8MP rear-facing camera. Like it's larger sibling, the Mini runs a modified version of Android 4.2.2 Jelly Bean. None of that hampers the device's connectivity, however. The Galaxy S4 Mini will be compatible with the Samsung Galaxy Gear smartwatch thanks to a post-launch software update. You’ll find other popular Samsung features on the Mini as well, like its WatchON TV remote function, S Beam feature and Easy Mode setting. The Samsung Galaxy S4 Mini will be available in both Black Mist and White Frost colors and “will be available beginning next month.” Pricing has yet to be announced. For more information on the Mini, visit the Samsung website.